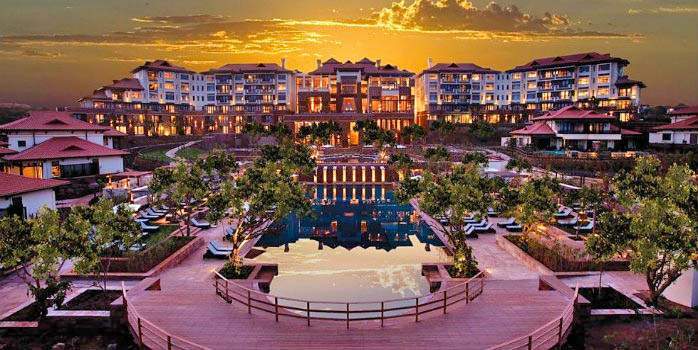 Explore the East of South Africa with this ultimate golfers getaway. 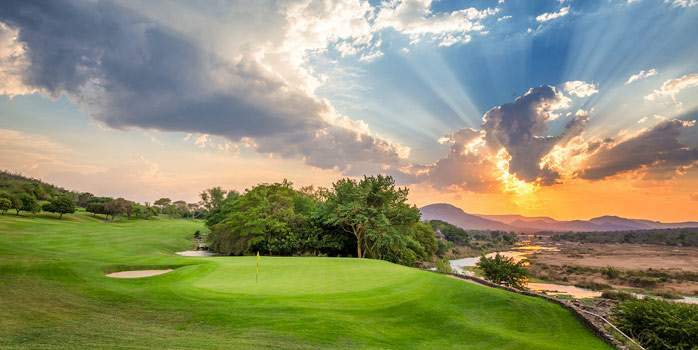 This superb itinerary is packed with absolutely world-class golf courses such as the majestic Leopards Creek. 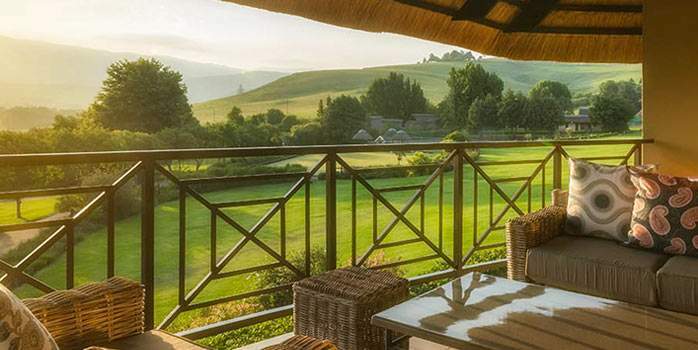 Combine that with 5-star luxury accommodation and spectacular scenery and you have a winning recipe for the ultimate South African golf holiday. 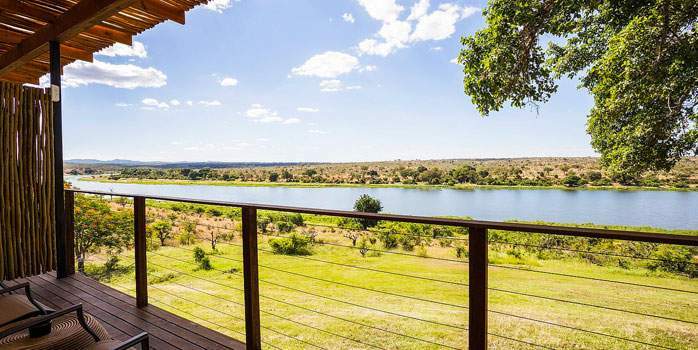 Buhala Game Lodge is an enchanting colonial style thatch roof lodge, situated on the Southern banks of the Crocodile River. 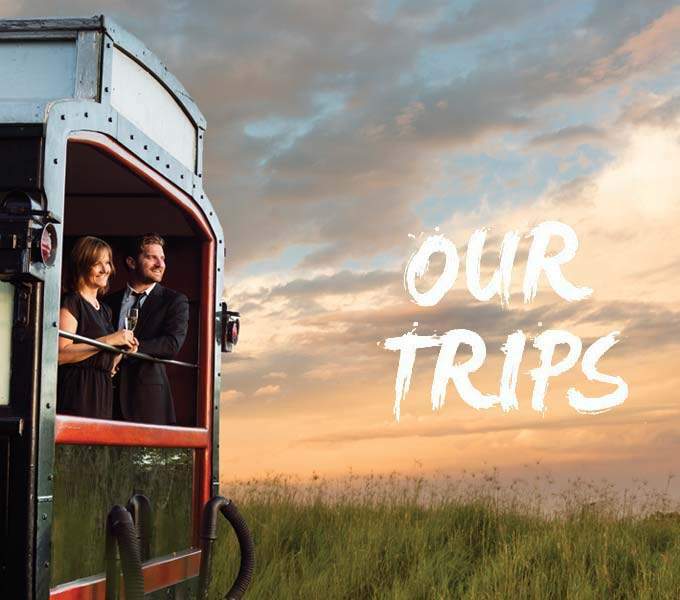 The ample outdoor veranda space provides all guests with an opportunity to relax and dine outside on their South Africa golf holiday while admiring gorgeous views of the Kruger National Park, and all the wildlife splendour it has to offer. 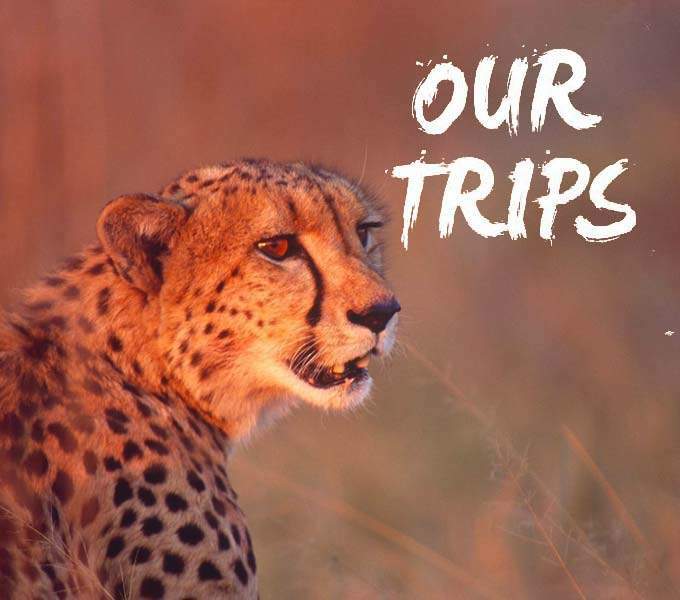 Members of the Big 5 are frequent visitors to the Buhala Lodge along with hippo, crocodile and many antelope species. 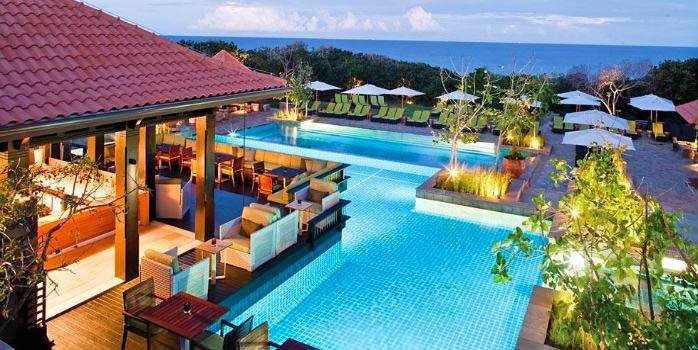 The Champagne Sports Resort buffet experience is gaining a reputation for the large variety of wholesome and hearty dishes on offer. 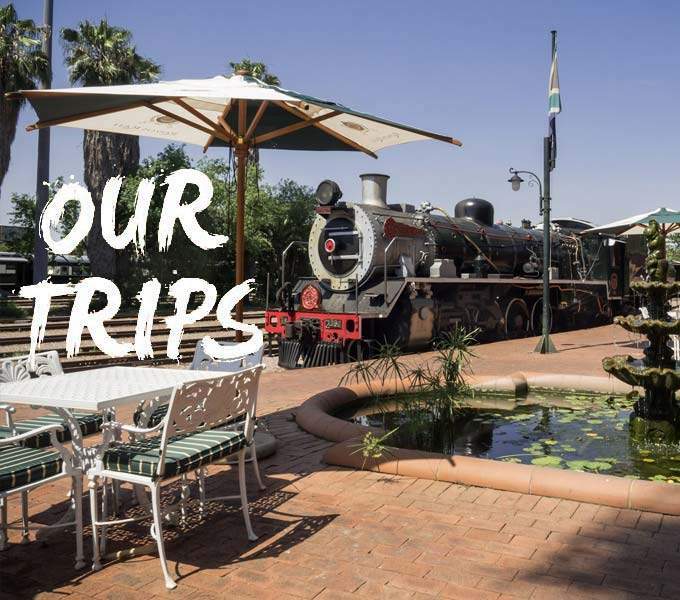 Situated off the main dining room, Cathkin Arms is a popular meeting spot, especially on big sports days where a large screen TV broadcasts the action. 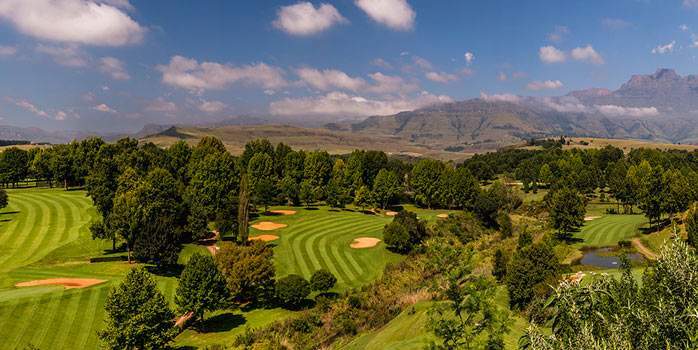 Royal Johannesburg and Kensington golf club is one of the most prestigious clubs in South Africa and boasts two 18-hole championship courses – the East Course and the West Course. 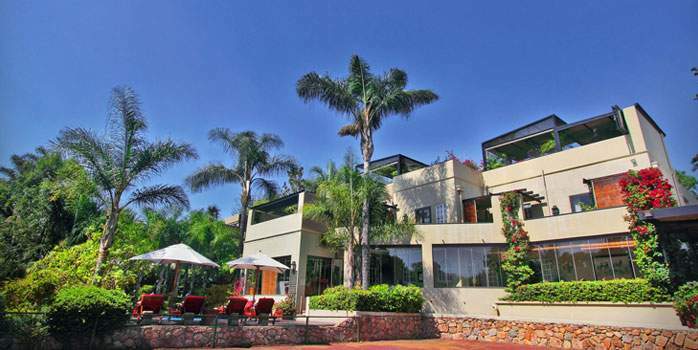 Both have scenic, tree-lined fairways and gently rolling slopes. 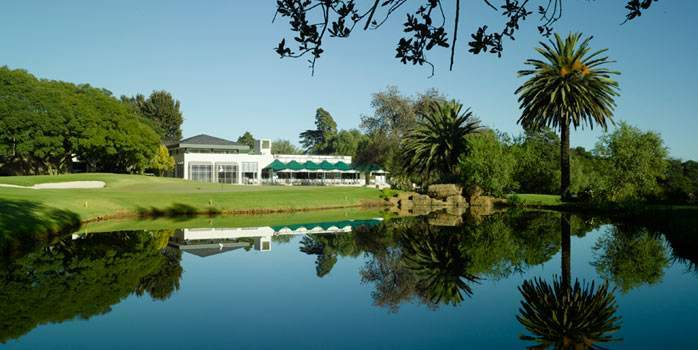 The better-known East Course has hosted numerous tournaments, including the SA Open on seven occasions. 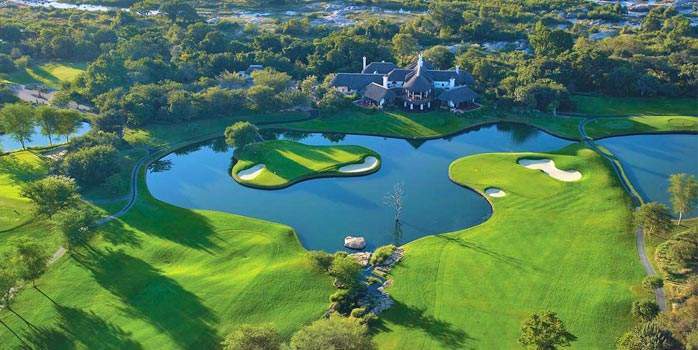 The course was designed by the then club professional Robert Grimsdell in 1935, who pioneered early South African Golf course designs. 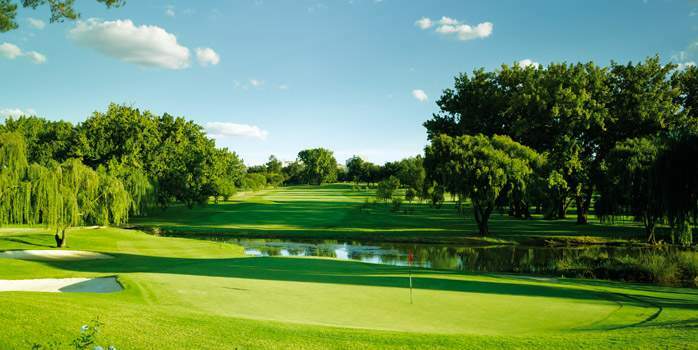 Glendower Golf Club is an exquisitely designed, highly ranked parkland golf course in Gauteng, South Africa. 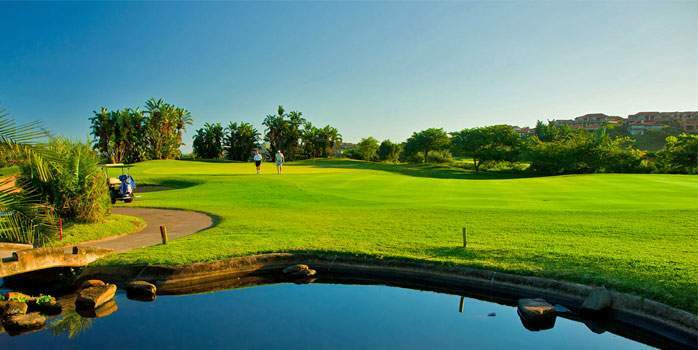 A challenging golf course set amidst gorgeous surroundings, Glendower Golf Club is said to be a test for the world’s best golfers, hence the welcome return in 2013 where Morten Orum Madsen was victorious in lifting the trophy. 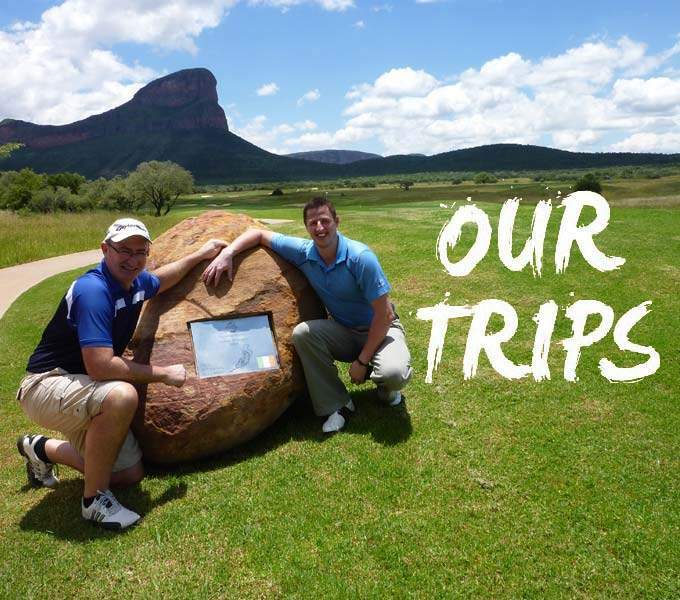 Then in January 2015, Glendower hosted the prestigious 104th South African Open Championship, where Andy Sullivan won in a dramatic play-off against Charl Schwartzel to claim victory. 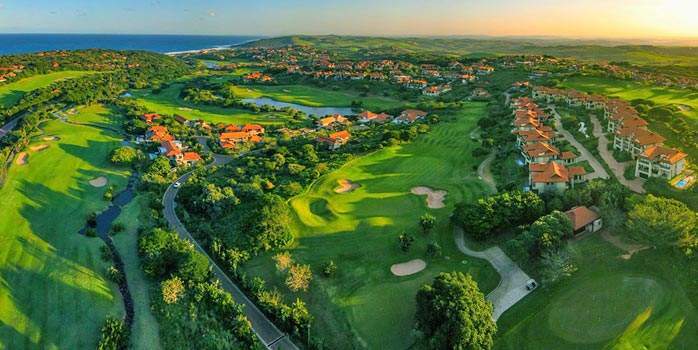 The course boasts lovely kikuyu fairways with 64 bunkers, 27 on the front nine and 37 on the back nine and water hazards on 11 of the 18 holes. 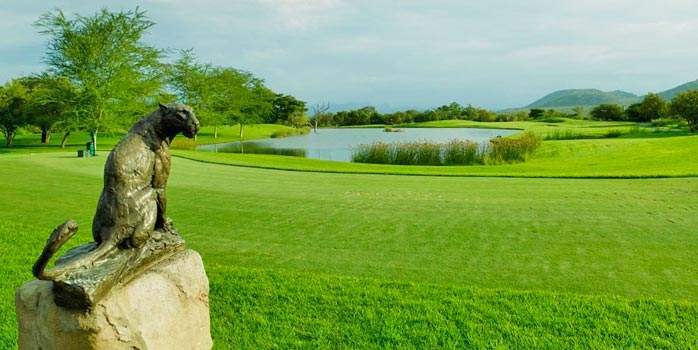 Glendower truly offers a challenge and accuracy is the key. 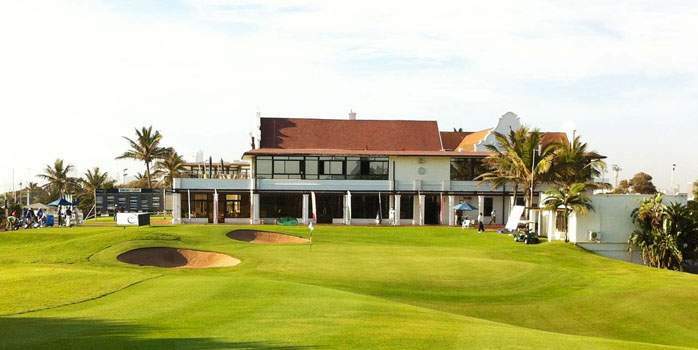 The practice area is located behind the clubhouse, and the practice putting green is in front. 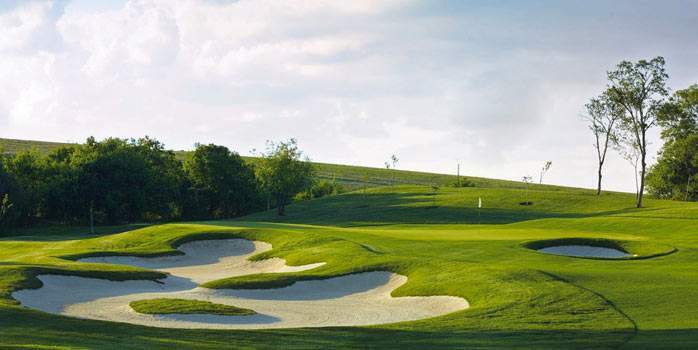 Chipping Greens and bunkers can be found beside the 10th tee. 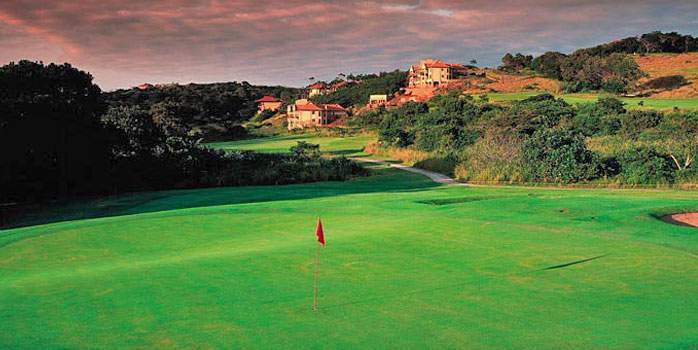 The golf course has a links/parkland layout, designed and constructed by Peter Matkovich, and is laid out over four ridge lines overlooking the Indian Ocean. 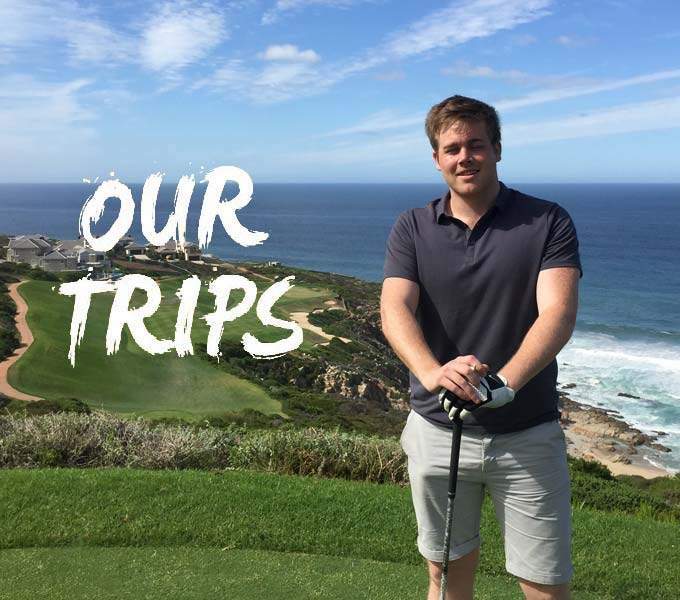 Sweeping, majestic views over the ocean, with spectacular coastal forest, makes this one of the most scenic and visually stunning golf courses in South Africa. 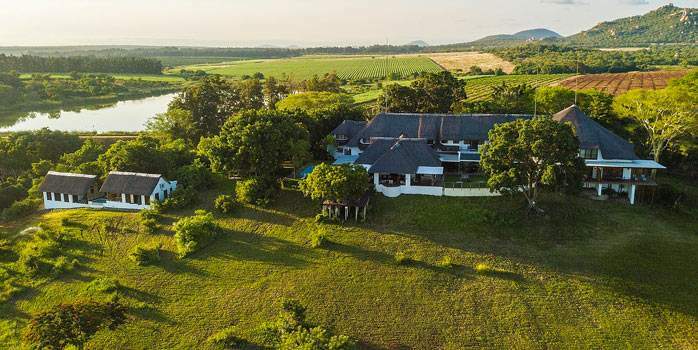 But it is the quality of the golf course design and the lovingly groomed condition of greens and fairways that make Prince’s Grant a bucket list golf course for golfers of all ability levels. 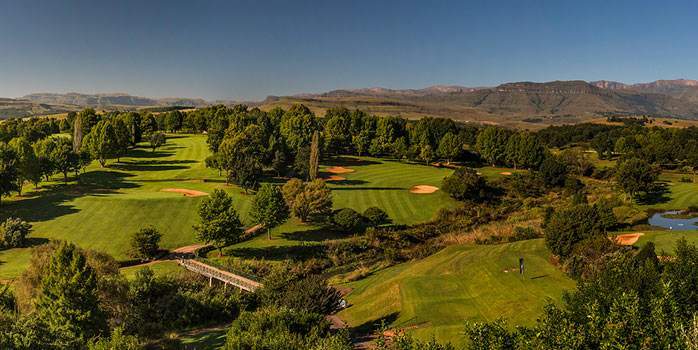 The golf course at Champagne Sports Resort is considered one of South Africa’s most beautiful courses with the clubhouse rated in the top five 19th holes in South Africa. 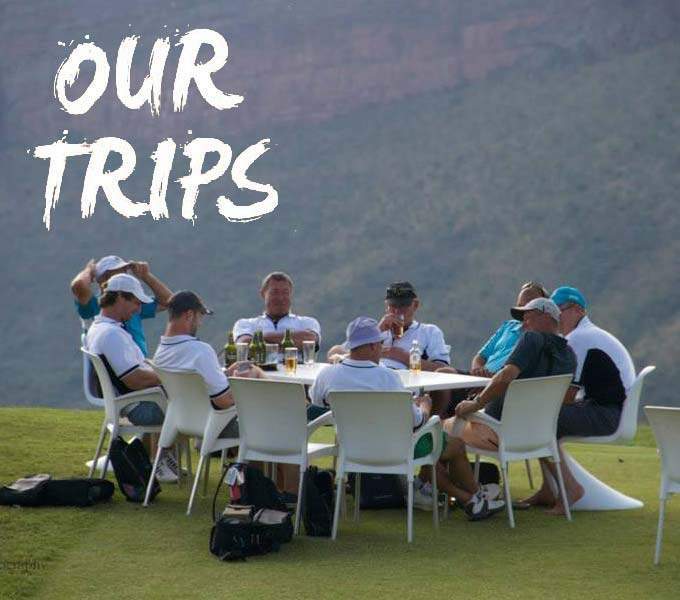 The greens are of the highest quality and are planted with L93 bent-grass which has proven extremely suitable for the region. 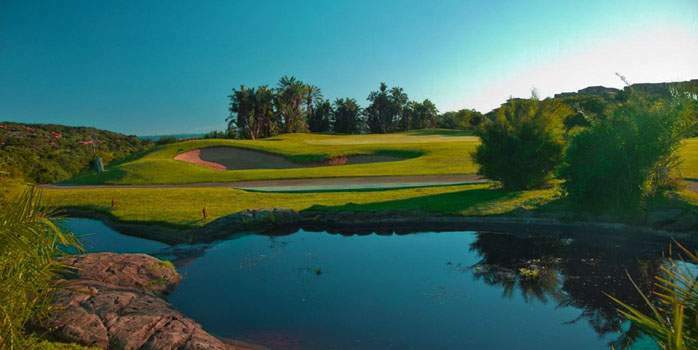 The 84 well-appointed and well-shaped bunkers that line the fairways and greens all have white silica sand and will be appreciated by professional and novice alike for their consistency. 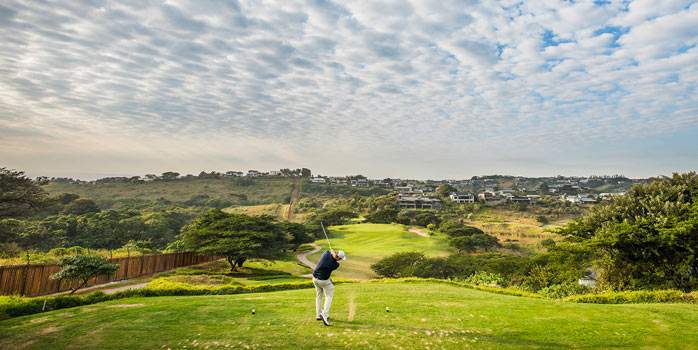 The fairways are all planted with Kikuyu grass presenting a wonderful green carpet, further enhancing the beauty of this truly unique championship golf course. 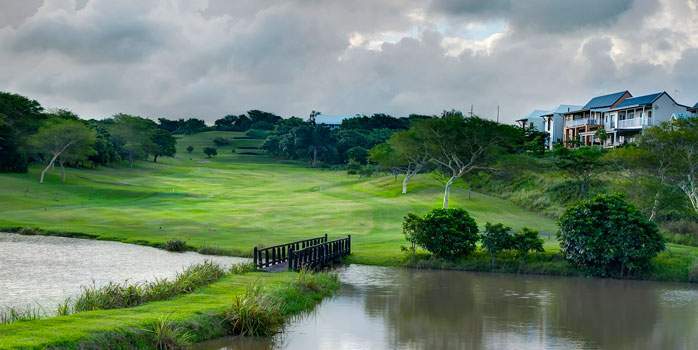 While badly misdirected shots will be punished, particularly in the wetlands and at the water holes, fairways are wide and bordered by light rough.